This is a unique event showcasing the best food Tipperary has to offer, with some great tips for Christmas cooking. 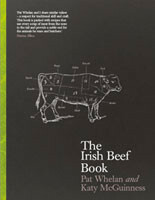 The event is being held in association with the Tipperary Food Producers and Bord Bia in the Clonmel Park Hotel on November 10th at 7.30pm and tickets are available at James Whelan Butchers, Oakville Shopping Centre, Clonmel. The event aims to increase awareness of local produce and help gather support for local food producers in the run-up to Christmas. 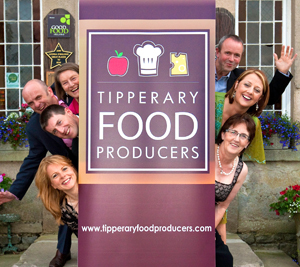 A variety of canapes will be served on the night with all of the food coming from the Tipperary Food Producers. There will be more than 30 members of the Tipperary Food Producers Network showcasing their products and Bord Bia chef Sheila Kelly will provide some Christmas cooking ideas with Sarah Baker (Cloughjordan Cookery School) and Pat Whelan (James Whelan Butchers). Jane Boyce, one of four Masters of Wine in Ireland, will be giving advice along with Gary Gubbins of Red Nose Wine on choosing the perfect wine to compliment any dish. Pat Whelan, chairman of the Tipperary Food Producers, said “The food landscape is very vibrant and indeed colourful here in Tipperary and we are very fortunate to have such an array of excellent food here in the county”.